Targeting Mainland China and Hong Kong’s wine drinkers, an Italian winery has launched a red wine rich in procyanidin – a powerful antioxidant found in tannins. 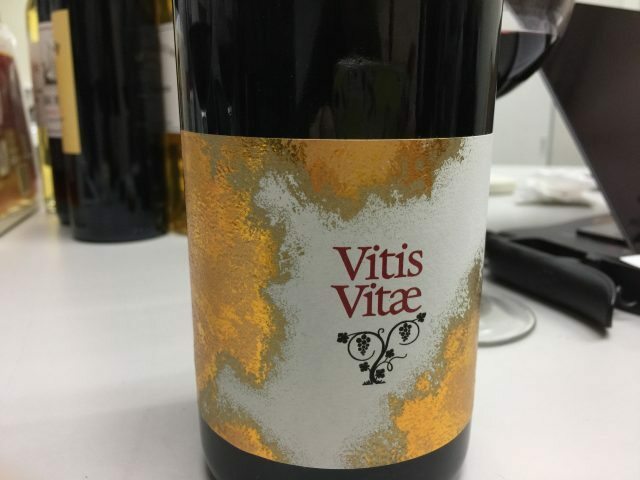 Meaning ‘vine of life’, the wine called Vitis Vitae, is made from grapes naturally high in antioxidants, according to its creator and director of Revino Asia Ltd, Roberto Pasqua, who revealed to dbHK that it is made of a blend of Cabernet Sauvignon, Merlot, Bovale and Tannat. Citing Dr Roger Corder’s studies which attest to the health benefits of red wine when drunk in moderation, Roberto said procyanidins are powerful polyphenols that can help fight oxidative stress and protect blood vessels. Compared with a Trapiche Malbec which contains about 1200 mg/l of procyanidins, for example, Vitis Vitae boasts close to 2400 mg/l of procyanidins – almost six times the level in a Californian Cabernet (close to 450 mg/l), the vintner said, citing findings published by researchers from the University of Verona’s Oenology department. The challenge for the vintner and its winemaker was to extract and preserve the tannins in the wine while making sure that it was balanced without having too much astringency on the palate. The project took his team six years to launch after collaborating with the University of Verona. Despite its high tannic components, this is not a wine to be cellared for a long time, said Pasqua. “It’s a non-vintage red. It’s always going to be a fresh wine. The idea is to drink it young, so the tannins don’t precipitate,” he explained. The wine’s current production is 20,000 bottles and it is now available in Hong Kong through YesMyWine.com.